Michael Studier was in the right place at the right time. A recent Iowa State graduate, he was applying for a job at a golf course north of Atlanta when he spotted earth-moving equipment nearby. He asked if the course was expanding. “They said, ‘That’s a new course being built,’” he says. 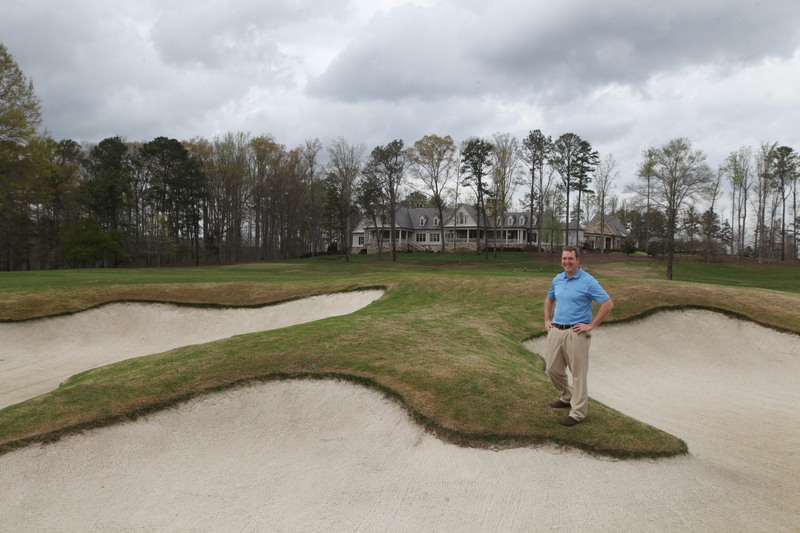 That course was Capital City Club Crabapple in Woodstock, Ga.
Mike got in on the ground floor of the project, hired as assistant golf course superintendent in 2001. He was promoted to superintendent in 2004. Crabapple is one of three courses making up the Capital City Club, an exclusive, private club chartered in 1883. The original club is located in downtown Atlanta; the Brookhaven/Country Club is in north Atlanta. At 600 acres, Crabapple is the largest of the three courses; it hosted a PGA event in 2003. Mike grew up in Dubuque, Iowa, where he worked for the Meadows Golf Club. He attended Iowa State, graduating in 2001 with a bachelor’s degree in horticulture. During his time at Iowa State, Mike interned at the Old Overton Golf Club in Alabama and the Peachtree Golf Club in Atlanta. Mike hires and supervises a crew of 30 maintenance workers. He oversees the budget, which includes $1 million worth of maintenance equipment. His team is charged with the overall condition of the golf course: all the grasses, plants, trees, and other aspects of the grounds. It’s not an easy job; Mike gets to work at 6 a.m. during the summer – and a leisurely 6:30 a.m. during the off-season. He works long hours, nights, and weekends. But this is a job he sees himself doing for a long time.